Easigrass managing director, Anthony Gallagher, has been presented with a World Peace and Prosperity Foundation (WPPF) Award in recognition of his contributions to charities that help to improve the lives of disadvantaged people and societies. 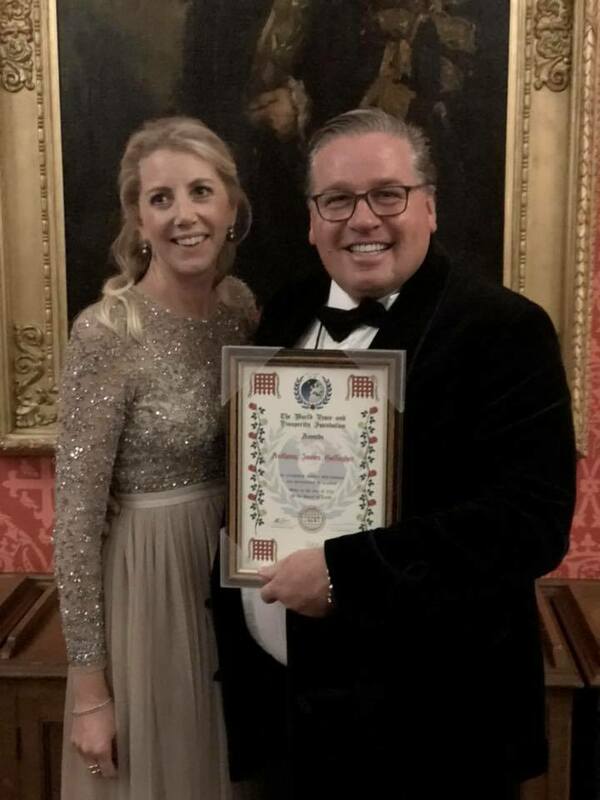 Anthony said he was honoured and delighted to collect the award at the 2018 WPPF reception and dinner held at The House of Lords, London on 7 November. The annual award ceremony was first launched in 2012 to recognise distinguished persons and contributors, nationally and internationally, who “give exceptional services” in bettering the lives of vulnerable and disadvantaged people. WPPF founders, Prince Mohsin Ali Khan and Councillor Frances Stainton, said Anthony was “unanimously” selected by the board as an award winner, particularly noting his recent work to support the creation of an outdoor space for the Salvation Army Community Centre in Hoxton, London. 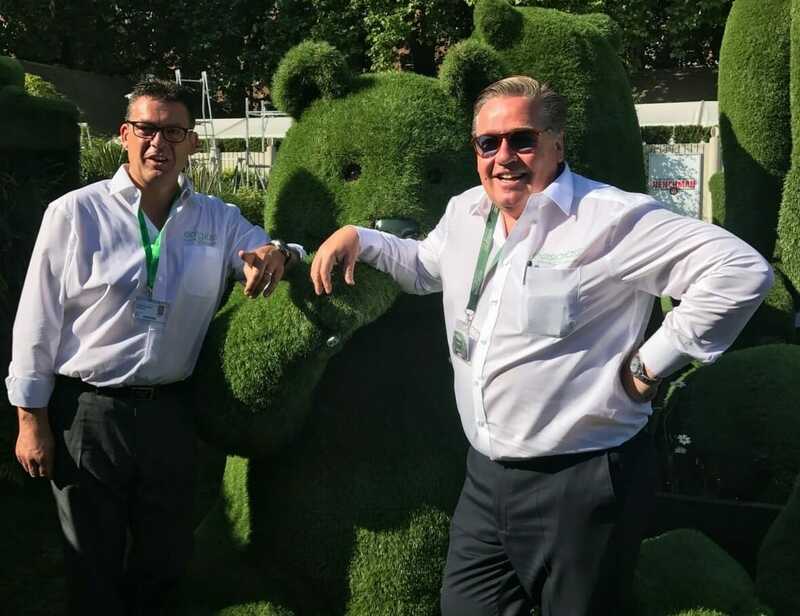 Anthony has always strived to support good and worthy causes where Easigrass products can really help to make a positive difference in the lives of vulnerable people. As a long-term supporter and admirer of the charity fundraising and work by The Worshipful Company of Horners, Anthony is a main contributor to a new project supported by the association’s Master, Gordon Warwick Haines MBE. The Worshipful Company of Horners Master’s Charity Appeal was launched in early 2018 to raise funds and products to renovate the roof space of the Salvation Army Community Centre in Hoxton, London. The aim is to completely transform the large roof space into a multi-use safe space with access lifts for vulnerable people, including elderly, those suffering from early onset dementia and others struggling with a range of physical and psychological needs. Anthony has committed to provide the grass design and installation service at cost price. This includes surfaces for sports, such as football, tennis and basketball; wheelchair friendly and safe sensory garden space for those with special mental and physical needs; as well a reading and relaxation area. Anthony and his Easigrass team offer many years of experience in transforming rooftop spaces, as well as the top-of the range product technology to ensure the new roof-top well-being space will help to provide positive support to Hoxton’s community. For more information about WPPF and the awards, see www.wppf.co.uk.